A salute to the purple couch. Do you have a childhood moment that spurred your love for design? 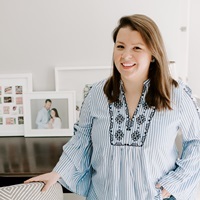 I’m sure there were plenty of shopping trips to flea markets and hours in the fabric store with my mom as a child that helped build up my design-addiction. 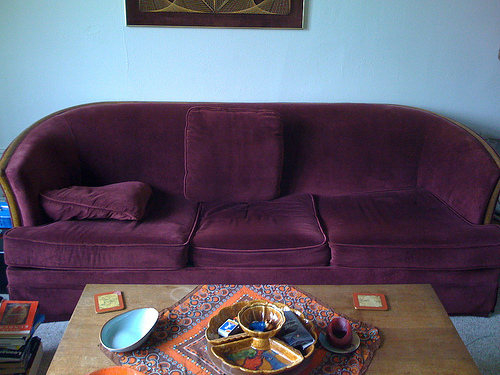 One moment that sticks out in particular though is from a visit to my grandmother’s farm house when I was little; she invited us in the living room to show my mom and aunts her new upholstery project: royal purple velvet slipcovers for her couch. As a child, the thought of owning a purple velvet couch was probably the most magical concept to ever enter my mind, I was in love. As teenagers my sister vocalized her desire to have it written into my grandmothers will that she would be the recipient of the purple velvet furniture should anything ever happen to their rightful owner and I still regret not thinking to stake claim first! 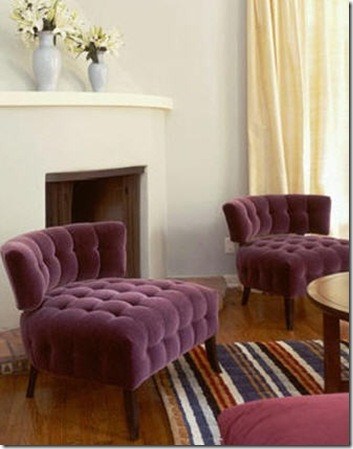 So this is a salute to the infamous purple couch, may it live as long as it’s free-spirited upholsterer! In it to win it. Birthdays, fabric, and ikea. One Response to "A salute to the purple couch."